Stealing information and then holding it for ransom is a trendy cyber-attack that has arrived to the hotel sector. 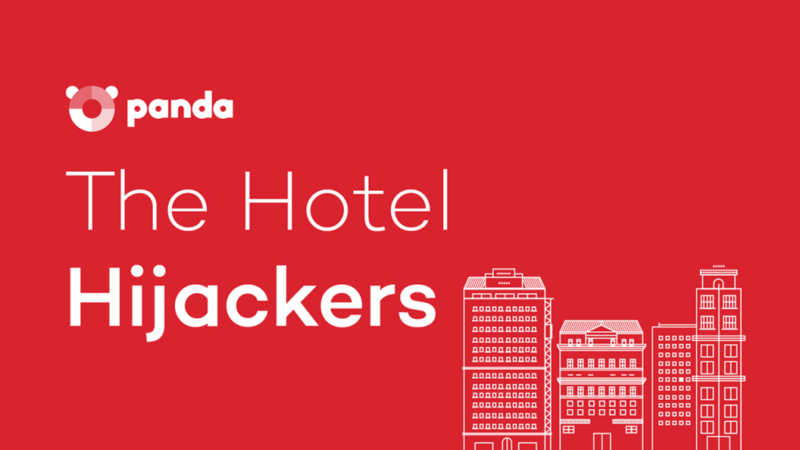 PandaLabs, Panda Security’s anti-malware laboratory, is launching a study called “The Hotel Hijackers“ (download our guide here); a document that reviews the increasing tendency of cyber-attacks directed towards large hotel chains. Research showed us that 2015 was the year for these type of attacks and we have detailed information on this type of intrusion and how this sector was largely affected worldwide, in many famous hotels like the Trump, Hilton and Starwood hotels. Hotels make billions of dollars from the millions of guests that pass through their doors everyday and hotels keep all of their guests’ sensitive data on file, just waiting to be compromised, and cyber-criminals know it. At the end of March, we tried the HoloLens augmented reality (AR) experience again at Microsoft BUILD. One demo in particular, called Destination: Mars had our News Director, Seth Colaner, on the surface of Mars with a virtual avatar of Buzz Aldrin. Although the experience was targeted for tourists (it will be installed at the Kennedy Space Center Visitor Complex this summer) the demo used OnSight, an actual tool used by NASA scientists to explore the surface of Mars with HoloLens. Last week, I was invited to NASA’s Jet Propulsion Lab (JPL) in Pasadena to see how OnSight actually works in a scientific setting. Unlike the small demo room in the Moscone Center, the OnSight experience at JPL utilized a massive room, with more than enough space (no pun intended) to fit one or even two small cars. There were multiple stations, each with the same OnSight experience, so that I could traverse the same surface with other journalists in the room–but more on that later. The first wave of OnSight was a solo walkthrough of the Martian surface. As I walked around, Alex Menzies, the software lead for JPL’s augmented and virtual reality projects, tagged along next to me to explain OnSight’s various features. When the program booted up, I was transported to Mars, specifically the Naukluft Plateau, an area visited by the Curiosity rover last month. In fact, the rover was the first thing I saw on the surface. Obviously, it wasn’t moving around in the virtual space, but nevertheless, it was astounding to see a 1:1 version of NASA’s latest rover on the Red Planet. As for the surface itself, the area surrounding the rover was well-defined. I could see the various ridges of different rocks and even notice their shadows casting on the ground. As we found out in an interview with Menzies and Jeff Norris, the Mission Operations Innovation lead at JPL, OnSight is able to provide this high level of detail because multiple photos of the same area were shot from different positions. Menzies also showed me the main tool used by NASA’s scientists in OnSight. By tapping my finger in the air, I brought up a small toolbar that allowed me to place a custom point in the area, which would ping other users to show its location. I could also bring up a virtual ruler that easily allowed me to measure the distance between two points. The entire floor served as the surface of Mars for our OnSight demo.As I ventured farther away from the rover’s location, I noticed that the surface quality deteriorated. Soon it was hard to discern any details about the rocks around me. All I saw were pixelated shadows and ridges. These were areas that Curiosity didn’t visit yet. Instead, the images used in these pixelated areas were from the Mars Reconnaissance Orbiter (MRO), a satellite that orbits Mars. At its closest point, the periapsis, it’s 300 km away from the surface, while its apoapsis, its furthest point in orbit, is around 45,000 km. After a few minutes of alone time on Mars, I was brought into the same session with the other journalists in the room. From my perspective, they appeared as transparent avatars walking around the surface. Then, someone broke the silence in the room as another avatar appeared on Mars. It was Katie Stack Morgan, one of the research scientists on the Curiosity rover mission, and she actually uses OnSight on a regular basis to investigate the Martian surface. After she showed us the various points of interest on the plateau, I had a chance to talk to her about her current project. Specifically, Stack Morgan is trying to find deposits of silica, a certain type of rock composition. Silica, which appears on the surface as a bright rock, is a tell-tale sign that water traveled through the area. Based on the location of these deposits, she can determine the direction of the water flow as well as the strong Martian winds. By following the path of silica deposits, she hopes to find a source of water on Mars. After some time on Mars, we tried another demo that was more down to Earth; specifically, we saw a model of a Mars rover that’s slated to launch sometime in 2020. Even though this demo also used HoloLens, it wasn’t an OnSight experience–it was another program called Protospace. The area for this demo was significantly smaller than the OnSight demo (think of a room about 15 feet in length), and we gathered around what seemed to be just an empty portion of the room. Here, Norris discussed the potential uses of Protospace for the team at JPL. In short, it’s a method for various groups to collaborate together to see a virtual model of any ongoing project. In the case of the Mars 2020 rover, various engineers can take a look at the prototype model and make suggestions or send feedback on how to improve it before production, which saves time and more importantly, money. With that in mind, he then revealed the rover in front of our very eyes. Even in its prototype phase, it was quite an awesome sight. Various parts were shaded in different colors, and you could crouch down to look at it from a different angle or walk around to see a specific part up close. If you happened to “walk” through the model, you would see some parts cut away, giving you a more detailed, cross-section view. As a final twist, Norris grabbed a physical model of one of the rover’s wheel bases and compared it to the virtual model. It was an exact match, further showing that it’s possible to use HoloLens in lieu of a physical model as a way for engineers to collaborate on future projects. In fact, Protospace was already used in a real-world scenario. Mechanical engineer Stephen Pakbaz told me that some of the rover’s technicians used Protospace to check on the size of its nuclear batteries, which are installed in the rear. Specifically, the technicians wanted to make sure that the batteries would fit while it was inside the rocket so that there wouldn’t be any problems during the flight to Mars. The Protospace team put a HoloLens device on a tripod in order to show viewers what we were seeing with the AR glasses.Obviously, the rover has to be build in a traditional computer-aided design (CAD) program before it enters protospace. According to Marcutte Vona, a producer on the Protospace project, the model takes up “several gigabytes” as a CAD file. However, the team takes a low-level detailed version of the model from the program and makes the file smaller by removing certain parts that technicians wouldn’t be looking at in the first place, such as the rover’s various bolts and screws. Then, it is put through a lossless compression program (Pied Piper, anyone?) before it enters Protospace. By the time it’s loaded onto the HoloLens program, Vona said that the file size is about half a gigabyte. For now, I could mark only various points of interest on the rover. However, the developers of Protospace are working on new features for users such as the ability to turn and rotate the object. The program developers are working closely with the actual users to figure out the best features for Protospace. One thing Pakbaz mentioned was that he wanted to see the assembly of certain parts in AR. The fact that both applications are functioning well with a device that’s still in development is quite astonishing. OnSight and Protospace proved that AR (and more specifically, HoloLens) is a viable option for NASA’s various endeavors such as planning a new rover for Mars exploration or learning more about its surface. Still, nothing beats the real thing. It will take many years (and a lot more money) to get the first humans on Mars, but with these HoloLens applications, the team at JPL can get a head start in gathering crucial data on its surface as well gain enough expertise to build the next spacecraft that will land humans on the Red Planet. 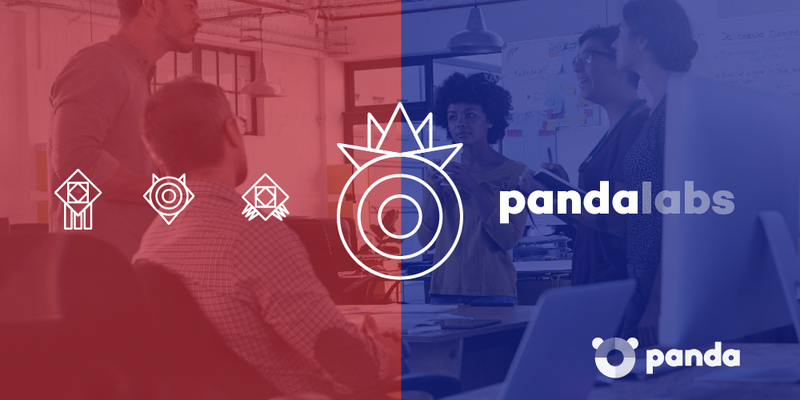 PandaLabs, Panda Security’s laboratory, outlined in this report the main cyber-security developments over the first months in 2016, showing statistics of malware and cyber-attacks in the first quarter of 2016. The amount of malware created continues to break records, with more than 20 million new samples identified, an average of 227,000 per day. Cyber-criminals continue attacking without giving sensitive infrastructures the chance to take a break, as seen in the attack suffered by 21st Century Holdings, a clinic specialized in cancer treatments with headquarters in Florida. The clinic had to alert their 2.2 million patients and workers that their personal data might have been compromised. The Rosen Hotels & Resort chain has been the victim of an attack that occurred between September 2014 and February 2016. 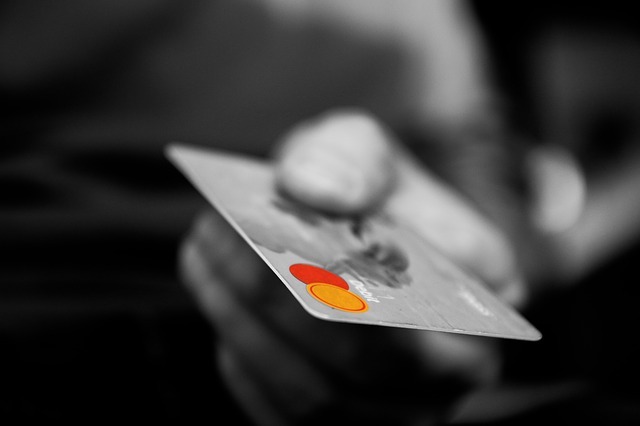 The company alerted their clients who may have used a credit or debit card in their establishments over this time period that their data could have been stolen by the attackers. Even the world’s most powerful governments haven’t been spared, such as the United States, where the Department of Defense has presented a rewards program called “Hack the Pentagon” in which rewards are offered to hackers who find security holes in the Pentagon’s web pages, applications and networks. The growing sector, the Internet of Things, is also affected by this year’s criminal activity. In this area, we can see how something as innocent as a doorbell can be attacked. Manufacturers are becoming more aware of their product’s safety, in fact, General Motors just launched a new rewards program for hackers who are able to find vulnerabilities in their vehicles. 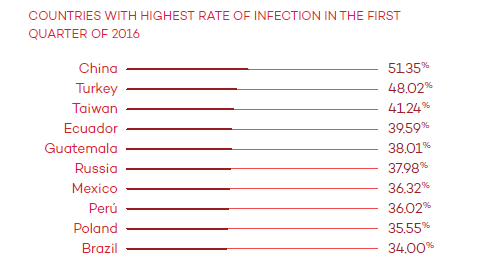 In this study we can find a table showing the countries with the highest and lowest infection rates in Q1 of 2016: Asia and Latin America (China leads the ranking with 51.35% of infections) are the most affected countries; while the Scandinavian countries have the lowest infection rates with (Sweden at the lowest at 19.80%). If you want to know more about the specific attacks, be up to date with the latest research carried out by the FBI, and the latest news of the cyberwar, you can download the entire document here. We hope this is of interest to you! Imagine if an entire section of the phone book (remember those?) was dominated by fake companies and scam artists. You’d hope the phone book people would wise up and get rid of that section. That appears to be Microsoft’s way of thinking as it bans tech support ads from its Bing search results. The “tech support” scam involves the victim being tricked into believing their computer needs fixing. This can happen in a number of ways: Phone calls from people claiming to be tech support staff; pop-up warnings alerting the user to a nonexistent virus or other problem with their computer; and paid ads on search engine results. Victims are deceived into either turning over payment information to the scammer, or ceding remote control of their device to the scammer (sometimes both). The problem is particularly annoying to Microsoft, as the company’s name is frequently invoked by scammers pretending to represent Microsoft. In 2015, Microsoft says it received some 150,000 complaints from consumers who were contacted in some form by bogus tech support services. Last December, Washington state filed suit against online tech support company iYogi, alleging deceived consumers by falsely claiming affiliation with Microsoft, HP, Apple, and others. Customers then paid iYogi between $80 and $199 to upgrade their systems from Windows 7 to Windows 10, for example, despite the fact that Microsoft explicitly offers all home Windows users that upgrade for free. The company also allegedly used their remote access to computers to generate fake, flashing warnings about viruses, before charging upwards of $380 to have the “virus” repaired. The Bing ban on tech support ads comes the same week that Google announced a ban on search engine ads for payday lenders. Google announced Daydream, which is an entire mobile VR ecosystem, including reference mobile phone specifications, design guidelines for Daydream compatible HMDs, and a software distribution platform built for navigation within VR. Google IO 2016 kicked off today, and during the opening keynote presentation, Clay Bavor, the company’s VR team lead, revealed the company’s plans to move from the entry level Google Cardboard HMDs to a much more robust mobile VR platform that is “comfortable and approachable for everyone,” and better suited to compete with the likes of Samsung and Oculus’s Gear VR. Google’s Cardboard project has enjoyed wide adoption over the past two years, and the company has learned a lot about virtual reality in that time. Millions of people have Cardboard viewers, and there have been more than 50 million Cardboard apps installed to date, but Google said that that was just the beginning. In the fall of this year, Google and its partners will launch Daydream alongside the Android N operating system. Daydream is a more high-end product than Cardboard. Google has laid out specific “Daydream-ready” hardware guidelines for device manufactures that wish to support the platform. Google is taking performance seriously in this venture; certified devices will have to achieve specific framerate targets and deliver sub-20ms motion-to-photon latency to qualify. The reference design specifications also include guidelines for the Daydream VR controller. The reference device that Google demonstrated is similar to the Oculus remote in appearance, but unlike the Oculus remote, Google’s device incorporates minimal spatial tracking with orientation sensors. Google showed the controller being used to navigate through menus and to play certain games. The controller also features a limited selection of buttons to help you navigate through VR. Software is the third piece of Google Daydream. The company said it redesigned the Google Play store with VR in mind. You can navigate through your library of content, search for new content, and even buy new apps, all without leaving the virtual reality environment. Google said it has partnered with a large number of big name partners to bring content to Daydream. The New York Times, the Wall Street Journal and CNN have agreed to bring their immersive news content to the platform. Hulu, Netflix, Imax, Lionsgate and other video production and hosting companies have also signed on. Big name game studios are also getting behind Daydream. EA, nDreams, CCP Games, Ubisoft, MinorityVR and others have committed to releasing content when Daydream launches later this year. Google has also redesigned several of its own services to work well with VR. Google Play Movies and Google Photos will both be supported on day one. Google Photos will even be getting VR photo support tacked on. Google Street View will be upgraded for Daydream VR, too, allowing you to browse the world in an immersive first person format. YouTube will be getting an overhaul for Daydream, too. Google said the video streaming service is being rebuilt with VR in mind. You’ll be able to do voice searches to find content, and playlists will be designed for VR navigation. YouTube VR video streaming and spatial audio will be natively supported. Google also confirmed that the entire library of standard video content will be available. Google did not offer a specific date for Daydream, but it said that the platform will launch this fall with many partners on board. Samsung, HTC, LG, ZTE, Xiaomi, Huawei, Asus and Alcatel will all launch Daydream-ready phones, and Google said there will be many HMDs launched with them. This past month, there was a giant development in science. Once again, technology has caught up to what we thought was only imaginable. For the first time in history, a quadriplegic recovered mobility in one of his hands thanks to neuroprosthetics, which in this case, is the superhero combination of an implanted brain-chip and a sleeve made of electric bands. Ian Burkhart, a 24-year-old American man, is paralyzed due to a spinal cord injury that was caused from a diving accident a few years ago. What at first seemed like a hopeless predicament for him, has become a positive example for science and humanity. Burkhart continues to live a life of passion and purpose—coaching high schoolers, inspiring others through public speaking, and working towards his undergrad degree—while living by the quote “Success, it’s what you do with what you got”. Swiping a credit-card or playing a bit of Guitar Hero are two simple things Burkhart thought he would never be able to do again. He has been able to train his brain to exercise commands, which are later carried out using the implanted chip and electrode sleeve. According to scientists, in a few years, many disabled and paralyzed people could be dressing and feeding themselves, completely independently. WORK LIKE A MACHINE, OR ONE DAY WE COULD BE CONTROLLED BY ONE. But, as always, with each new advancement comes challenges and opportunities for those who are looking to take advantage. Which is why it is critical that we protect the sensitive data that has yet to be compromised: the information that is stored in our brains. Expert Alfonso Muñoz, from Criptored, explained how EEG headbands are vulnerable to the same attacks as your smartphone or your computer, stating that “any type of attack can happen because, really, you are not copying waves, you are copying bits”. 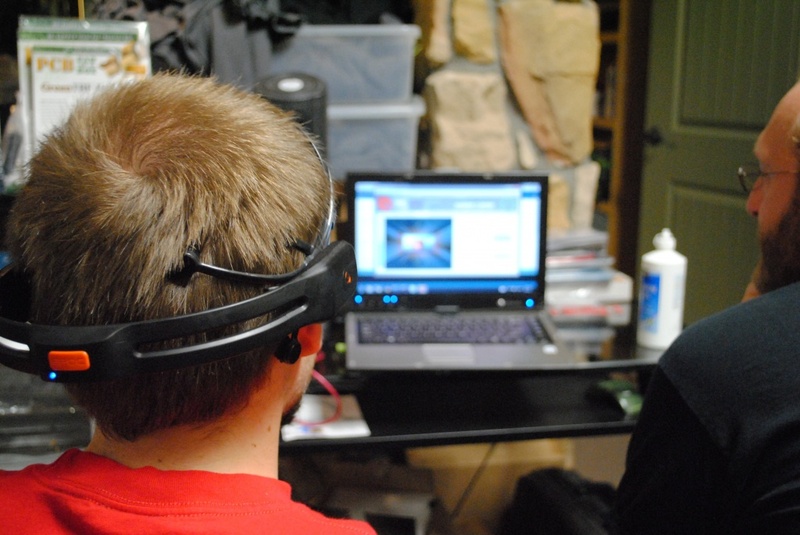 The security-risks associated with the possibility of registering brain waves are alarming. Muñoz warns about the future of “mental surveillance” and “brain hacking”. Imagine that someone, somewhere could read your mind… spy on your thoughts. This fear has already been proven in rigorous academic studies. When it comes to this on-going marathon between humans and technology, even with the good, that we stay wary of possible intruders. Like Muñoz said, “attacks have limitations“. However, “the truth is, the thought that it can be done, in a relatively simple way, is scary“. Nvidia has finally revealed the details of its highly anticipated next-generation graphics GPUs. Nvidia CEO Jen-Hsun Huang first revealed the roadmap for Pascal in March of 2014. It’s been a long wait, but based on what we learned tonight, it looks like the wait was worth it. Two high-end graphics cards will be shipping in the next few weeks: The GTX 1070, which will replace Nvidia’s price to performance value leader, the GTX 970; and the GTX 1080, which takes the place of the very capable GTX 980, while simultaneously dethroning the company’s flagship Titan X as the fastest GPU the company has ever launched. Both cards promise significant performance increases over their predecessors, while drawing less power than the already power-efficient Maxwell GPUs. The star of the show is Nvidia’s GTX 1080, which features 7.2 billion transistors and 2560 CUDA cores operating at an unbelievable 2.1 GHz. Nvidia said the card delivers 9 TFlops of rendering performance. The GTX 1080 is Nvidia’s first graphics processor to use TSMC’s 16nm FinFET process node. The smaller process node is a key element to Pascal’s power efficiency, but Jen-Hsun Huang, Nvidia’s CEO, said there were thousands of improvements and innovations, and billions of dollars in research and development that went into designing Pascal. Nvidia said that the GTX 1080 offers two times the performance of the company’s current flagship Titan X, while delivering three times the power efficiency. AMD will also be moving to a smaller FinFET node process for its upcoming Polaris GPUs later this summer, but it will be moving to GlobalFoundaries’ even smaller 14nm process. We’re eager to compare the power efficiency of the two products in the coming months, but Nvidia has certainly set the bar high with Pascal. Huang also announced the GTX 1070, which also offers staggering performance. Nvidia did not reveal the number of CUDA cores or transistors that make up the GPU in the 1070, but Huang said the card offers 6.5 TFLOPS of floating point performance, and that this card will outperform a Titan X, as well. Last year, AMD launched its R9 Fury series featuring Fiji GPUs, which featured HBM memory with much higher memory bandwidth than traditional GDDR5. Nvidia chose to skip the first generation of HBM memory, but the roadmap it shared at GTC 2015 indicated that we would see 3D memory on Pascal. We somewhat expected to see HBM2 paired with these upcoming cards, but neither of them feature this advanced memory technology. We will likely still see HBM2 memory paired with a Pascal architecture GPU, but we may be waiting some time for that. GDDR5X is the next fastest memory available compared to HBM; Micron revealed GDDR5X in September 2015. The company told us that GDDR5X offers significant performance increases by doubling the memory prefetch size. Micron said that initial GDDR5X yields would offer speeds of at least 10 Gbps. Nvidia said that the GTX 1080 is equipped with 8GB of GDDR5X memory, but it did not mention the frequency at which it operates. The GTX 1070 is also equipped with 8GB of memory, but it’s not using GDDR5X. Nvidia chose to use traditional GDDR5 with the lower-end card. Nvidia said that part of the magic behind Pascal’s rendering performance is a new technology called the Simultaneous Multi-Projection Pipeline. Nvidia explained that traditional rendering techniques use one single-view port to to output to displays. This works just fine with a single display, but we’ve seen a rapid change in display technology, from multi-screen setups to ultrawide displays and now VR HMDs with dual displays that require warping and unique rendering techniques. The traditional rendering methods don’t play well with multiple displays. You generally see warping on peripheral monitors in surround setups, and warping an image for a VR display wastes performance by rendering parts of the image that are never seen. This allows the company to dedicate a properly proportioned scene to each display in a surround system. Huang said this was previously possible only if you had a GPU for each display in your system. For VR rendering, Nvidia takes this idea even further. It dedicates four view ports per eye for an HMD and prewarps the image before hitting the lenses. The end result is a clearer image with more accurate proportions. Nvidia calls this Lens Matched Shading. Today’s announcement is simply a reveal of what’s to come. The GTX 1080 will launch on May 27, and there will be two variants: the GTX 1080, which will carry a price tag of $599, and a Founders Edition, which is supposed to offer higher overclocking potential for $699. The GTX 1070 will launch on June 10. The standard card will sell for $379, and the Founder Edition will be available for $449. 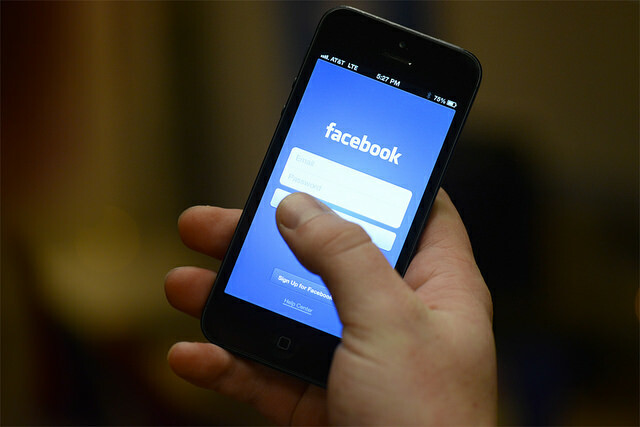 With 1,590 million active users per month, Facebook is the Social Network. In fact, they just posted their quarterly earnings and they are up 50%. Cyber-criminals are aware of their success. These platforms are the ideal place to “phish” for information. 18% of companies infected by malware were infected through social networks. Attackers pass as part of a company’s customer service team in order to steal sensitive data from consumers. A recent study was released by the RSA organization proving that cyber-crime on social networks is a “global epidemic”. The RSA organization was founded by the creators of the encryption algorithm that is used every time we make a bank operation online or digitally sign something. These platforms are not only hot-spots for attacks but they have also become the perfect forum for scammers to communicate. According to the study, there are more than 500 online fraud related groups with more than 220,000 members. The majority of these groups are public and visible. Fraudsters share information like credit card numbers accompanied by personal information and authorization codes, cyber-crime tutorials and other malware tools. Proving this, the investigation invites us to write our CVV or CVV2 numbers in the Facebook search bar (those verification numbers on the back of a credit card). The result will surely surprise you: it is easier to find data from a stolen credit card than find an old friend you are trying to reconnect with. In total, the RSA detected some 15,000 compromised credit cards publicized on social networks in the six months that the study lasted. He also discovered that many of these criminal groups focus their attacks on shops, banks and accounts of consumers in their area. In China and Russia, platforms QQ and VKontakte are preferred by the scammers, while in the rest of the countries, Facebook remains the favorite. Unfortunately for us, cyber-criminals really “Like” Facebook. One of the most important features of Apple’s next mobile platform is something the company has barely talked about. When iOS 8 comes out this fall, it will have the ability to randomize an iPhone or iPad’s Wi-Fi media access control (MAC) address, or network ID. That’s a huge privacy advantage for people who want to leave their devices’ Wi-Fi active without worrying that their information might be gathered by marketers, police, spies or hackers. However, it does nothing to impede iBeacon, Apple’s own Bluetooth-based proximity-marketing service. Interestingly, Apple barely mentioned MAC randomization at the World Wide Developers Conference last week, during which it announced iOS 8. It was left to UK-based user-interface designer Luis Abreu to tweet an image of a slide from a conference presentation about iOS 8 privacy that described the process. So how would Apple’s MAC randomization work? Each piece of networking hardware on a computer, smartphone or tablet has a unique, permanent MAC address that identifies that specific piece of hardware on a network. A laptop, for example, will have separate MAC addresses for its Ethernet, Bluetooth and Wi-Fi connections. MAC addresses are necessary for establishing a network connection and obtaining a temporary Internet Protocol (IP) address to get online, but they’re not so great for privacy, since devices can be identified and tracked by their specific MAC addresses. If you’re walking through a shopping mall with Wi-Fi enabled on your smartphone, the phone is “scanning,” or simultaneously searching for Wi-Fi networks and broadcasting its MAC address to every Wi-Fi hotspot you pass by, whether or not you intend to connect to any of those hotspots. Those hotspots are often logging all the MAC addresses they encounter, and marketers can examine those logs to identify repeat shoppers, how long a shopper spent in a store or even potential shoppers who walked by the store many times but didn’t come in. The phones don’t even have to establish connections to provide their MAC addresses. Just being within range of the store network is enough. If any of those smartphones’ users decide to connect to the store’s Wi-Fi network, then marketers might also be able to assign real names to those harvested MAC addresses. Governments and criminals can set up Wi-Fi hotspots to gather the same information. This is possible because software can “spoof” a MAC address so that the MAC address presented to a network doesn’t actually correspond to the device presenting it. MAC-address spoofing can be used by malicious hackers use to conduct man-in-the-middle attacks — they can pretend to be both the victim and the Wi-Fi router, positioning themselves to view Internet traffic and capture unencrypted data — but it can also be used to maintain privacy when moving through an environment rich with Wi-Fi networks. This enhanced-privacy feature won’t stop man-in-the-middle attacks, but it will stop MAC-address-based tracking practiced by marketers — or police departments. However, it also conveniently removes a competitor to iBeacon, which the company is encouraging retailers to use to target shoppers with hyperlocalized ads beamed to their iPhones. Introduced with iOS 7, iBeacon uses Bluetooth, not Wi-Fi, to track and communicate with iOS devices in a retail establishment. MAC-address randomization isn’t iOS 8’s only new privacy feature. Mobile Safari users will be given the option to make their default search engine Duck Duck Go, a privacy-centric service that doesn’t store users’ personal information to customize searches. Duck Duck Go also doesn’t tell a Web page which search terms you used to find it, and also connects to the encrypted versions of websites whenever possible. I’m not usually one to spread panic about security issues, but in the case of the current ransomware plague, I believe that at the very least a sense of great concern is justified. And the threat is unlikely to disappear any time soon. While there are certainly many things we can do to significantly reduce the risk of us getting infected — from applying all necessary patches and keeping offline backups, to running software that alerts us when files are suddenly being modified en masse — ultimately, ransomware does what we all should be doing: encrypting our files. The subtle but essential difference is that it does so with a key we don’t have. 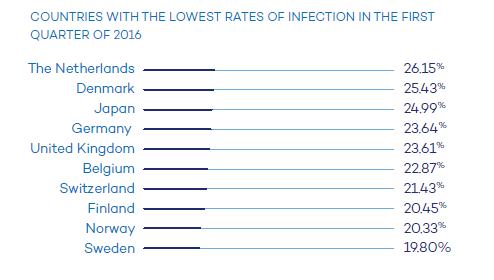 One reason why ransomware is so successful is that the ransom demanded is usually only a few hundred dollars — affordable to most people (ransomware tends to target users in Western countries) and often cheaper than the (perceived) value of the data that would otherwise be lost. However, security experts regularly tell affected individuals and organizations never to pay the ransom. I think this is unhelpful advice. For sure, paying the ransom should always be the last resort. We should help victims, and the jack-of-all-trades sysadmins who are likely going to assist them, find other ways to recover the data. Maybe backups have been kept. Maybe this particular ransomware is one for which a decryption tool is available. And maybe losing the data — which could also have happened because of a physical failure of the hard drive — is an expensive but valuable lesson on the importance of keeping backups. But sometimes, none of this helps and the only sensible business decision left is to pay the criminals, much as it is bad and much as there is never a 100% guarantee that this will work. Crooks will be crooks, after all. Of course, if everyone followed the advice never to pay a ransom, ransomware authors would come to find that it wasn’t worth their effort, and the threat would eventually disappear. But this wouldn’t happen instantly, and it really would depend on almost everyone not paying the ransom. And if security experts suddenly had the power to make everyone follow their advice, maybe we should just tell people to patch instead.